The Amaze currently contributes to 50 per cent of the total HCIL sales during April -Sept 2018. This is fastest 50,000 sales number recorded by any new model launched by Honda in India. Honda Cars India Ltd today announced that the all new Amaze has crossed the 50,000 sales mark in just 5 months since its launch in mid May 2018. The Honda Amaze currently contributes to 50 per cent of the total HCIL sales during April -Sept 2018. This is fastest 50,000 sales number recorded by any new model launched by Honda in India. The company says that the Amaze attracted more than 20 per cent first time buyers, while the car has been well received across markets with 40 per cent sales coming from Tier 1 cities and 30 per cent each from Tier 2 and Tier 3 cities. 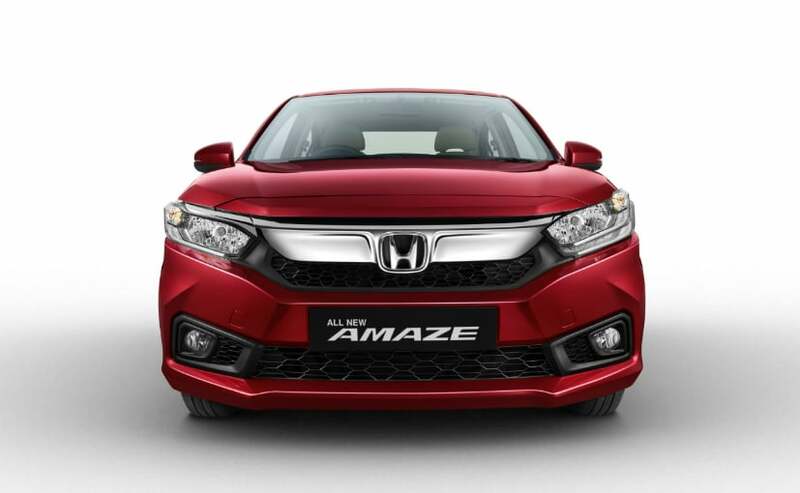 Makoto Hyoda, Director, Sales and Marketing, Honda Cars India Ltd said, "The overall concept of All New Amaze was to develop a one-class-above sedan for Indian family use that exceeds the expectations of customers in the compact sedan segment. The response to the car with 50,000 sales in 5 months is overwhelming. The advanced CVT technology has found very strong acceptance among customers with 30% of Amaze customers opting for automatic variants in petrol and diesel." The new Amaze takes on the very popular Maruti Suzuki Swift Dzire and has impressed us by winning the comparison test. The Honda Amaze is completely different as compared to the first generation. While the design is a little conservative, buyers might appreciate the balanced look the new car has. While you do get features like daytime running lights or 15-inch alloy wheels on the top of the line variant, the Amaze loses out on the likes of LED headlamps or even projector headlamps. Diamond cut alloy wheels like the one on the City could have made it a nicer package too.